Grow your productivity and increase the ease in how you handle all your accounting and financial procedures through the Teamgate + QuickBooks integration. 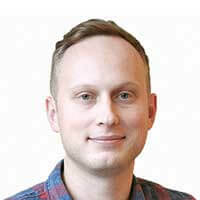 With this simple integration you can view customer payment histories, send invoices on the fly – from any device; phone, desktop or tablet – track expenses, connect with your colleagues and your accountant, and many more time and labour saving hacks. By using QuickBooks integration with CRM reap the benefits of having a full, and customisable, suite of benefits just like having your own accounts team with you everywhere you go. Track all past history and predict future needs or demands using invoice tracking, bill management, link with your bank accounts and a host of other performance-enhancing benefits. Avail of a vast array of time-saving (time better suited to selling) integrations which will noticeably increase your productivity and help you close those deals quicker. 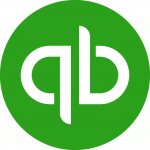 With the Teamgate+QuickBooks integration, you can create and send quotes, invoices, payment reminders, and also control online payments instantly. Access to billing software directly within your CRM can help ensure that your business gets paid faster, and more efficiently. QuickBooks integration with CRM eliminates the confusing practices associated with spreadsheets and out-of-date accounting packages. From now on manage all of your accounting and financial procedures in this seamless integration, taking you and your business practices into the modern world, freeing your time, and increasing your productivity and profitability. How to connect QuickBooks to Teamgate?